Birds are intelligent, graceful creatures that enhance our outdoor environment and are not usually thought of as pests in the way that insects and rodents are. However, birds can be a major annoyance and can cause significant property damage to your home. Certain species of birds like to nest under soffits and in eaves troughs. Debris from nesting birds can clog rain gutters and drains causing water damage. Birds are also known to cause damage to air conditioning units, vents and other exterior building structures and bacteria and parasites from their droppings can also pose health risks. Bird exclusion and control is specialized work and should be left to an expert. Cannon provides effective bird control and exclusion services. Common in urban areas, Sparrows are small, quick birds that are brown and grey in colour and have black striping around the eyes and neck. They are very adaptable and like to nest in small enclosures like shutters, drain pipes, building rafters and siding. They often gather in large flocks and are aggressive towards other birds. They typically produce 20 offspring per year which allows their numbers to increase rapidly so it is important to address a problem early before a population gets settled. sparrow Sparrow nests cause flooding from backups in gutters and drainage pipes. They have been known to clog and damage machinery such as air conditioning and HVAC units. Uric acid contained in Sparrow droppings is very corrosive and can cause extensive damage to property. 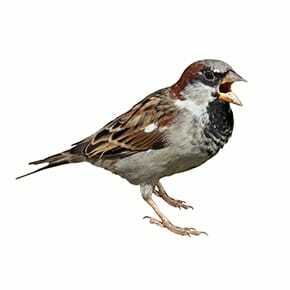 In addition, bacteria, fungi and parasites found in sparrow droppings and nesting materials are known to cause a number of serious diseases. 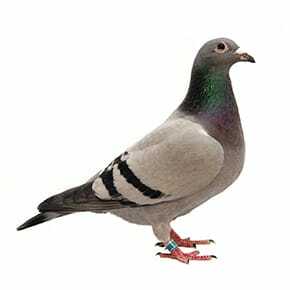 Pigeons are descendants of domesticated European homing pigeons and are considered to be the number one urban pest bird. They have a varied diet and typically nest and shelter in man-made structures. They are usually blue-grey in color, and have iridescent feathers on their head and neck. pigeon Pigeons create mess and damage where they nest and roost. Uric acid in pigeon feces is highly corrosive and can cause extensive damage to metals and other building materials. Debris from flocks of problem pigeons often build up, backing up gutters and drains which can cause flooding and roof damage. Starlings are an introduced species to North America and are common in urban areas due the availability of food and nesting locations. Starlings are dark, muscular birds that have short tails and longer bills than other blackbird species. 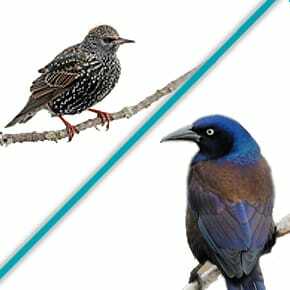 Starlings are aggressive birds that are known to drive out other native bird species and assume their existing nests. They often gather in large flocks that can number in the thousands. Grackles are about 12″ long and have green/blue or purple tinged black plumage with glossy purplish heads, necks and chests. Grackles are members of the blackbird family and also demonstrate aggressive behaviour towards other species. They similar to Starlings Like starlings and other members of the blackbird family, these birds are aggressive, colonizing in huge flocks to overwhelm structures and drive out native bird species. starling and grackle Starlings and Grackles typically cause problems from buildup of their sprayed feces which cause a whitewash look on the sides and roofs of buildings. The uric acid contained in their droppings can corrode stone, metal and masonry. Damage to machinery and drainage problems from nesting materials and bird droppings can also occur. 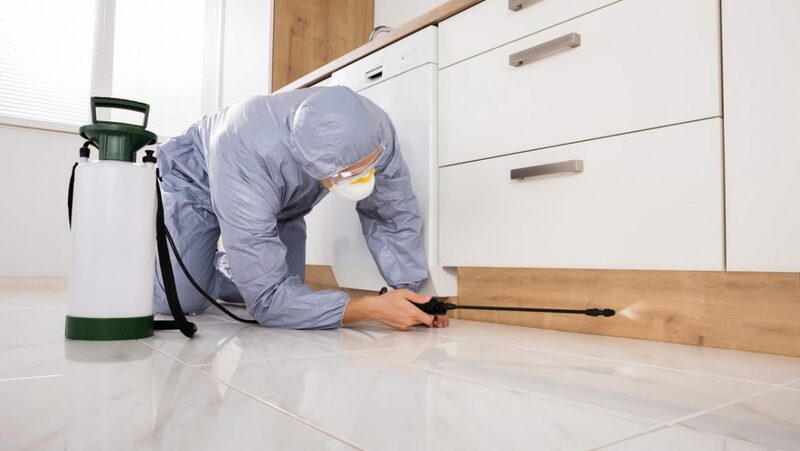 In addition, bacteria, fungi and parasites contained in their droppings can cause a host of serious diseases including histoplasmosis, encephalitis, salmonella, meningitis, and toxoplasmosis. 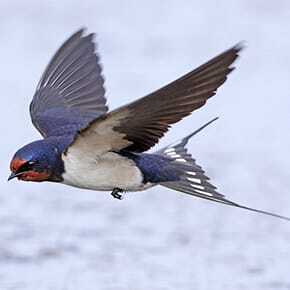 Swallows are migratory birds that spend their spring and summers in Canadian urban and rural areas. They are very territorial and will return to the same nesting site over and over. Eaves troughs and other structures are common nesting areas can be identified by their their distinctive mud pellet nests. Swallows have brownish red faces and throats with steel blue coats and light colored bellies. swallow Swallows are a nuisance in suburban areas as their nests that damage and deface the outer walls and eaves of residences and office buildings. Swallow feces often builds up on the sides of buildings and the ground below from the nesting colony. The bacteria, fungal agents and parasites found in swallow droppings and nests can carry a host of serious diseases, including histoplasmosis, encephalitis, salmonella, meningitis and toxoplasmosis.